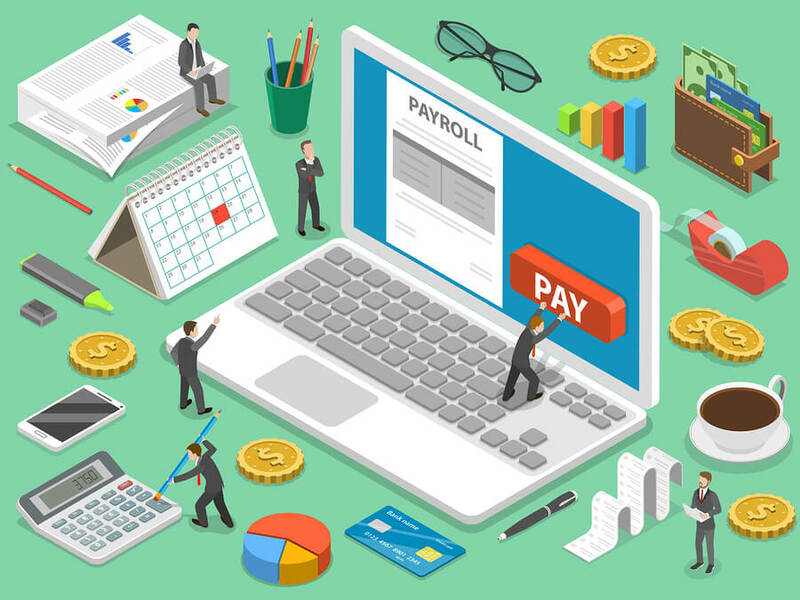 FAQ: How does payroll processing work? You started a new business. Or, you own an existing one that is moving into the realm of employees. That means you must pay your employees. Processing payroll is one of the most important processes a business faces. It can also be one of the most time-consuming and one of the most frustrating tasks. There are many moving parts of payroll. These include employment and labor laws. It includes industry compliance rules and employee classification. It includes benefits and reporting. Lastly, it includes the actual processing of payroll. When you hire an employee, you start by gathering information about that employee. This process starts with the application process and continues through the onboarding process. In addition, there may be other forms of documentation that you gather. You may have union documentation with signatures to collect from the employee. You may have a contract that you want to be signed. Some positions or shifts may require various levels of certifications, education, training, or experience. This will be applicable when you are scheduling employees. Make sure to distribute a copy of your employee handbook and get a signature that the employee understands the policies therein. You may want to address your absence policy as well as your policy around buddy punching and wage theft. Include your expectations around the use of social media during work hours. Address employee personal activities while on the job. Have you considered keeping a volunteer list for overtime hours? If so, inform your employees. When an employee consents to overtime or wants extra hours, then get their signed consent and keep that on file. Some states allow for mandatory overtime. Even if that’s the case, maintaining a list of employees who want overtime as a first resource helps to improve employee satisfaction. You should inform your employees of when payroll checks cut, how often to expect their paycheck and other pertinent information. Employers should show employees how to clock in and out of their shifts. If it hasn’t already been addressed, then this is another good time to set the right expectations around what is expected. If your state requires employers to track employee breaks, don’t forget to cover how it works. Explain that employees must clock out during breaks, but that they will still be paid for breaks under 15 minutes in length. Explain your position on breaks and overtime. Many employers forget to emphasize that rest periods are supported and encouraged. They assume that employees will automatically take breaks. This can lead to an unspoken expectation for employees to work through breaks and will put the employer in violation of labor laws. Explain that employees are not allowed to clock in or out for other employees. Explain what the repercussions of those types of activities will be. It is also important for you to understand your local laws regarding employee time tracking. This is a good time to look at how you planned to track employee time. Manual time cards create many headaches with compliance and often land the employer on the violator’s side of the law. At the end of the payroll period, the employees time tracking information is sent to the payroll administrator. This includes hours worked by the employee. Other pay information must also be sent. This includes any supplemental income earned. Supplemental income can include overtime hours, bonuses, and commissions earned. Supplemental income such as a commission affects overtime. This is one of the most common FLSA violations! Be aware that overtime is not a simple calculation of time-and-a-half of their hourly wage when employees have earned bonus income. The bonus income must be calculated as an hourly wage over the period they earned it. Then time-and-a-half can be calculated. After the payroll is approved, the employee’s net pay is calculated. Deductions and withholdings must be subtracted from gross earnings. This includes state, federal and local taxes. It includes retirement contributions and health care premiums. It includes child support, if applicable. It can include other programs you offer as an employer that the employee takes advantage of such as a health savings account or an employee stock purchase plan. Administrators must know which deductions to take out of each employees wages. The IRS offers this guide. As an employer, you should also understand any local or state requirements. Next, employee pay stubs and checks are distributed. Employers should be aware that in addition to providing employees their paycheck, other information may be required. Some states require that employers provide sick leave accrual information with each paycheck. This can include accrual hours, hours used, and other information. Family leave and other local labor law requirements may also apply and require that employers provide documentation. In certain industries and locations, employers may have to provide documentation when overtime is required. The IRS requires that payroll reports be sent at least quarterly. State reports are usually also reported quarterly. The failure to send reports on time can result in major fines and penalties for your business. That even if you are the only employee of an S-Corp, you must still file payroll reports! Payroll departments are responsible for the data, paperwork, and documentation surrounding payroll reporting. This information is very sensitive in nature and even innocent mistakes can lead to penalties for the employer. Unfortunately, it can also lead to employee-employer disputes and loss of reputation. Payroll information must be kept and retained. It must be kept secure. Most, if not all, employment laws assume employer guilt first. Only if the employer has sufficient records to show compliance with the laws, is the employer found compliant. When it comes to payroll and employee time tracking, employers cannot afford to be casual. When you step into payroll and employee time tracking, it is vital that you are aware of employment laws surrounding those areas. Employers have many compliance hats to wear. Some laws require that employers provide employee schedules in advance. State laws require certain procedures for overtime pay or shifts. Employers must offer employee breaks, which are overseen by the FLSA. It’s a good idea to track them. There are specific state laws on breaks. There are many reasons to turn to technology. However, we will limit this article to the top 10 reasons employers turn to technology to help with payroll processing. It doesn’t account for the additional cost that payroll errors cost companies due to compliance violations! If you are tracking everything vía spreadsheets or worse paper, you are missing information. Did you know? 2-5% of a businesses documents get lost on a daily basis. It costs $120 to replace one missing document (on average). Assumed employer guilt. Assumed guilt is a real thing. When employees accuse a company of incorrectly paying them, or of not paying them correct overtime, or other payroll violations, the burden of proof rests on the employer. Even if the employee has no proof of the accusations, the employer can get stuck paying out penalties if the employer didn’t have good enough records. Using automated timekeeping and records and retains employee schedules, time tracking information makes sure that you can prove your payroll was correct. Automatically retaining all payroll information makes sure you have the other half of the records. Processing payroll with personal checks or even QuickBooks can make your records sketchy and incomplete. Keep yourself protected with automated records retention through automation. Did you know that payroll errors account for roughly 1% – 8% of the total payroll each period? This according to the American Payroll Association. The average payroll mistake costs 15 minutes to correct. Imaging tracking down the employee who filled out the timecard in question, getting the right information, which may take multiple calls, and then correct it on your payroll system. In addition to having more accurate records, you will greatly improve efficiency if you automate your timekeeping and payroll systems. Your time tracking system or employee time clocks should integrate seamlessly with your payroll system. This eliminates manual processes and data entry. It also streamlines reporting and compliance. The average payroll clerk spends 1.5 minutes per timecard to input the information. Imaging eliminating that time! If you are doing payroll, as well as running your company, then you are losing the efficiency and effectiveness of your skills and passion. Every time you have to stop to manage payroll for your employees you lose momentum. This has a far greater opportunity cost than the actual time you spend on payroll or the money you spend on mistakes. If you have hired someone to do payroll, then you are paying more for their time and effort to manage your payroll. If you have an employee, such as HR, working payroll, then you are paying highly skilled employees for a lot of data entry tasks instead of utilizing their true skills and passion. One of the most common reasons that our clients site for switching to automated time tracking is visibility. This includes both a top-looking-down and a down-looking-up view. Managers have visibility for employee habits and trends. They can easily see trends for overtime in departments or projects. Managers can view turnover and analyze data. Employees can look up their time to solve questions about their paychecks. They can view PTO balances and sick day usage. Employees can view past pay stubs and tax documents through an employee self-service portal (ESSP). Employees can also update contact information, withholding, and other pertinent data without manually filling out forms. In addition, employees can also login to view their schedules, request time off, or send a message to HR. Millenials, as well as other employees, demand transparency, and mobile access. If your policy allows it, you can also provide a way for employees to opt-in for additional hours. This can be updated anytime an employee is available for more hours. Managers can quickly view which employees are available, which have overtime scheduled already, and who has the qualifications for the shift. This visibility makes it easier for managers to fill unexpected vacant shifts. All of these various types of visibility builds goodwill and great communication between the employer and the employees. Are you familiar with the laws regarding the minimum security measure that should be taken to protect employee information? What about firewall requirements? New viruses? New risks? Retention? There are more regulations than can be accurately counted. Do you have time to monitor electronic documents rules and all the federal agencies that govern employee information? What about technology changes? Do you have time to update and upgrade localized systems to keep up with technology advances? Successful businesses have specific areas of specialty. Your business is no different. But, it’s likely that your specialty isn’t electronic safety, employee records retention, and paperwork. Choosing to move to an automated time clocks ensures that your technology stays up to date and meets the security requirements that any sensitive information should meet. It is frustrating to repeat a task due to an error. It is annoying to repeat tasks that can be automated. It is discouraging to track down an employee for missing information. It can be disheartening to be paid the wrong amount. Seamless update, automated retention, fewer errors, accuracy, instant document retrieval, and integrations with another system. All of this equals less frustration and greater job satisfaction. Doing tasks manually costs you money. It costs you in employee wages. It costs you in opportunity lost. It costs you in mistakes. It costs you in employee satisfaction. It may cost you in compliance violations through fines and penalties. It may cost you in reputation loss which often equals decreased revenue. It may cost you in employee turnover. Would you spend $10 to save $100? It’s been said that “If you can’t measure it, you can’t improve it.” It is also important to understand that accurate measurement is mandatory. Guesstimating doesn’t allow for real improvement and is just an ego boost. Businesses that move to more accurate methods of timekeeping are often surprised by how different employee time cards look after switching. This includes employees showing up 5-10 minutes later than the “estimated” times of arrivals previously reported. Did the employee’s habits instantly change? Managers are surprised that employees who typically leave a few minutes early start staying until their shift completion. This happens simply because physically clocking out creates a measurable benchmark that employees subconsciously adhere to. Here are some other items you should measure. ` None of these things can be accurately tracked or measures with manual processes. Integrations are key to expanded functionality. Employee self-service portals can include benefits choices, onboarding processes, and retirement planning. Employers can do more with less time and fewer costs through integrations. Check out this list of most of SwipeClock’s integration partners. We’ve already mentioned this, but automating boring redundancies improves employee satisfaction. Eliminating payroll mistakes eliminates employee satisfaction. Employee access and control over their information increase trust with the employer. It also reduces scheduling stress when employees plan their personal lives. Employer reputation affects otherwise happy employees. This is great as long as mistakes aren’t made and laws aren’t violated. (Or perceived to be by employees). HR & Payroll employees can spend more time using their skills to enhance the workplace experience.